I figured that question would come up. Definitely Xbox has said that they do support the trade-in/resale games at retail and that they want to handle communication from this point forward on that. I think what is important to note is that all three of the consoles that have launched have now come back and they say, 'I realize the value of the buy-sell-trade model,' and they have built that into their new consoles moving forward. We anticipate that we are going to be able to leverage that, like we leverage it on the consoles today. Digital content can be easily discovered. We will actually work with Microsoft and we will work with Sony as they come out with – I guess what you would call 'non-gaming entertainment properties.' We'll be selling those in our store. There's lots of rumors out there. I, for one, am very interested in what they're going to say at E3. Look, we weren't going to report on this originally, because trust us we're as bored of reading half-baked, assumption-filled news posts about the Xbox One as you are. But the trouble is, we kinda have to report on this because it applies to achievements. Last November Microsoft applied for a patent on an achievements system designed to reward viewers for watching television. That's right. Achievements for watching telly. "Television viewing tends to be a passive experience for a viewer, without many opportunities for the viewer to engage or have interactive experiences with the presented content," says the application. "To increase interactive viewing and encourage a user to watch one or more particular items of video content, awards and achievements may be tied to those items of video content." "Additionally, by tying the awards and achievements to particular items of video or advertising content, viewers may be encouraged to increase their viewership of the content, thus increasing advertising opportunities." While the specifics of how the system would work are not outlined in the description, the suggestion is that viewers would be offered achievements for watching an entire series, or a special televised event. In addition to this, Microsoft also envisaged a way of incorporating Kinect into this madness, rewarding viewers for certain actions like holding up a specific product in front of the sensor during adverts. It's worth pointing out that a patent filing doesn't necessarily mean Microsoft will pursue the system. But bearing in mind the company's focus for their next gen console (TV, TV, TV, TV, Sports, TV), then we'll let you come to your own conclusions. Microsoft's new Xbox comes with a console, controller and Kinect, but even if you pre-order One for yourself, you may choose to go elsewhere to pick up a matching headset. And, Turtle Beach will be one of the first next-gen headset providers, as it's just signed a license with Microsoft to build them for the One. Turtle Beach isn't sharing any more info on the forthcoming headsets, but we'll be telling you all about them when they're revealed at E3 in a few weeks. Oh, and before you go thinking that you can save yourself some cash by using your trusty Xbox 360 cans, remember that the One's controllers have a new proprietary port on them that's incompatible with your old gear. You were looking for an excuse to upgrade your over-ear gaming audio anyway, right? We are designing the new Kinect with simple, easy methods to customize privacy settings, provide clear notifications and meaningful privacy choices for how data will be used, stored and shared. We know our customers want and expect strong privacy protections to be built into our products, devices and services, and for companies to be responsible stewards of their data. Microsoft has more than ten years of experience making privacy a top priority. Kinect for Xbox 360 was designed and built with strong privacy protections in place and the new Kinect will continue this commitment. We’ll share more details later. What is the point of Xbox One DRM? Microsoft could be looking to make a whole bunch of potentially huge announcements at E3 2013 next week if a leaked screengrab of the platform-holder's schedule for the show turns out to be kosher. Spotted by a forumite on NeoGAF, the image is of unknown origin, so could well be fake. But given that some of the listed games are real and have been formerly announced, it could equally be the real deal. 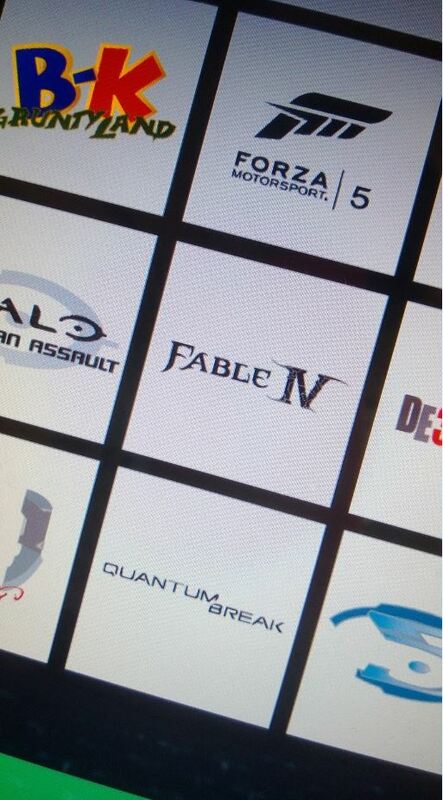 In the image, you'll see Forza Motorsport 5 and Quantum Break, which have previously been announced for Xbox One. There's also Halo: Spartan Assault, which we happen to know is an actual thing. Come back tomorrow for answers on that one. Of course, as nothing has been confirmed as yet, file this one under 'rumour'. All will be officially revealed at E3 in La La Land next week. Xbox One's claim to being your one-stop shop for all living room entertainment may be about to get a hefty boost. According to MCV, the company is in talks with Sky, the UK's biggest cable TV supplier, to sell the new Xbox with a cable TV subscription at an enormously reduced upfront cost. MCV's insiders say the arrangement has yet to be finalised, and Microsoft itself has naturally declined to comment. There's plenty of supporting evidence for such a move, however. The two companies have a fruitful relationship - Microsoft created an Xbox 360 app for Sky in 2009, which was upgraded with Kinect support in 2011. "We enjoy a long track-record of innovating with Microsoft on the Xbox platform and will explore any future opportunities offered by Xbox One," a Sky representative told Pocket-lint last month. Microsoft has already experimented with selling the Xbox 360 under a subscription model - following a "very positive" response, Microsoft Game Studios boss Phil Spencer observed that such schemes "should be part of our model, absolutely". Price points for Xbox One have yet to be confirmed, though a number of retailers have jumped that particular gun. The console currently allows players to record and share gameplay footage instantly and, if desired, automatically. Speaking to Business Insider, Microsoft's corporate vice-president of hardware Todd Holmadahl recently confirmed that the manufacturer wants to enable TV recording and playback, too. What do you think? I'd probably buy an Xbox One in place of a Sky box, given the option. •Buy the way you want—disc or digital—on the same day: You’ll be able to buy disc-based games at traditional retailers or online through Xbox Live, on day of release. Discs will continue to be a great way to install your games quickly. •Access your entire games library from any Xbox One—no discs required: After signing in and installing, you can play any of your games from any Xbox One because a digital copy of your game is stored on your console and in the cloud. So, for example, while you are logged in at your friend’s house, you can play your games. •Share access to your games with everyone inside your home: Your friends and family, your guests and acquaintances get unlimited access to all of your games. Anyone can play your games on your console--regardless of whether you are logged in or their relationship to you. •Give your family access to your entire games library anytime, anywhere: Xbox One will enable new forms of access for families. Up to ten members of your family can log in and play from your shared games library on any Xbox One. 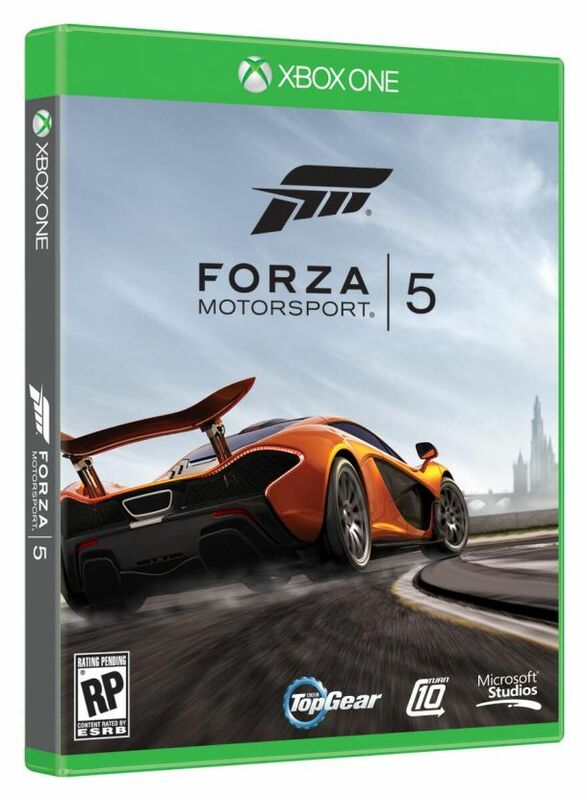 Just like today, a family member can play your copy of Forza Motorsport at a friend’s house. Only now, they will see not just Forza, but all of your shared games. You can always play your games, and any one of your family members can be playing from your shared library at a given time. •Trade-in and resell your disc-based games: Today, some gamers choose to sell their old disc-based games back for cash and credit. We designed Xbox One so game publishers can enable you to trade in your games at participating retailers. Microsoft does not charge a platform fee to retailers, publishers, or consumers for enabling transfer of these games. •Give your games to friends: Xbox One is designed so game publishers can enable you to give your disc-based games to your friends. There are no fees charged as part of these transfers. There are two requirements: you can only give them to people who have been on your friends list for at least 30 days and each game can only be given once. It just gets worse and worse!